Dozens of ships cruise all around our coastline and around the land of the long white cloud. You can glide along the Queensland coast visiting the Whitsundays, Townsville and Cairns. Or you can head south for Melbourne and Tasmania. In the west, Fremantle has become a cruise mecca with an endless line-up of major cruise ships paying a visit. And for those with the time and budget, you can voyage right round Australia, visiting Bali on the way. Spurring on this upsurge has been the large number of seniors who would rather see their own country in luxury than towing a caravan for several thousand kilometres. A lot of repeat cruisers have had extensive experience on South Pacific cruises. Now they are looking for something new and fresh and are turning towards their homeland as a cruise destination in itself. Not all Australian cruises are aboard big ships. Coral Princess Cruises, for example has extensive itineraries in the Kimberley’s and on the Great Barrier Reef. 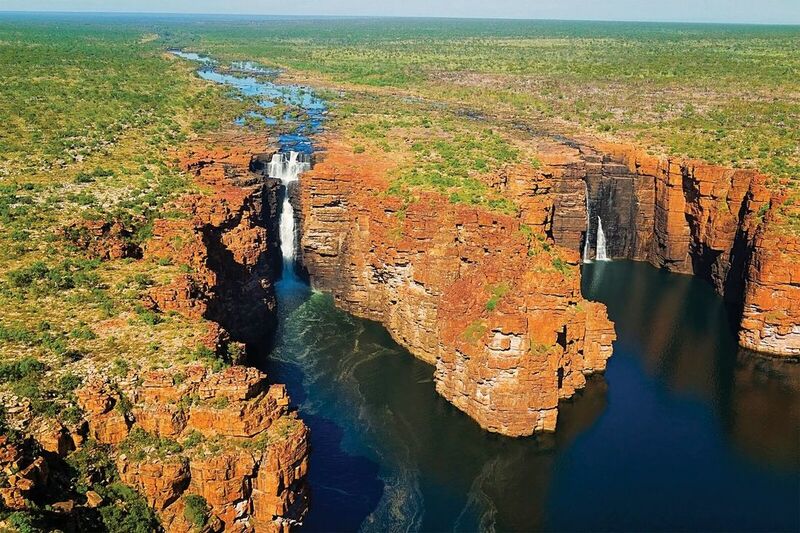 On the Kimberley cruise you get to experience much more of the region than you could ever see by road travel. New Zealand offers a spectacular cruise destination with some beautiful ports and waterways. What better experience is available anywhere in the world than sailing into Milford Sound on a crystal clear day? The best thing about cruising New Zealand or Australia is the fact that you get to start and end your holiday in Australia. Passengers really love the idea that you walk aboard, unpack and everything is done for you. Selecting a cruise ship is really all about your budget and your preferred itinerary. Most cruise ships these days are relaxed and informal. As a rule, the more you pay the better the service, inclusions and cuisine.